Four down, six to go. As Red Hill Brewery looks to mark a decade of brewing with ten one-off red beers, they've already ticked off a saison, Belgian style tripel and smoke beer. And for number four it's IPA time. Red, of course. Or, perhaps more specifically: deepest, darkest red. 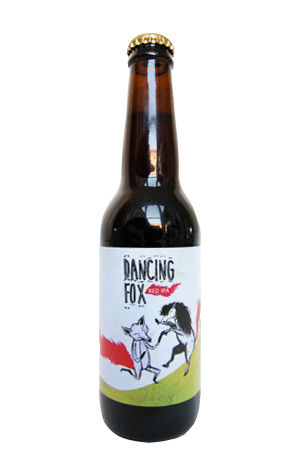 It's tagged as an English IPA, albeit one that's at the upper boozy reaches of the style at 7.5 percent ABV, and is a beer that tips a wink to those they most loved while living in the UK as well as to the "crafty little fox" that likes to dance with the Shetland pony in the brewery's paddock. And, while it's an IPA and has been hopped with fresh hops at multiple stages, it's as much a showcase for specialty malt as anything else. The hops might add a touch of orange blossom and balancing, lingering bitterness, but for the most part this is all about the malts that lend it the deep red colour: they're rich and creamy, treacle and toffee – even hints of a fortified wine.